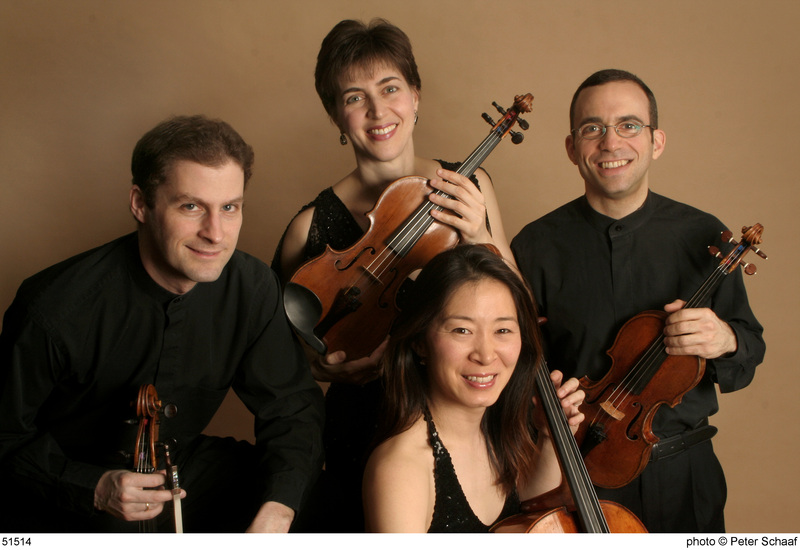 Since its inception in 1992, the Brentano String Quartet has appeared throughout the world to popular and critical acclaim. “Passionate, uninhibited and spellbinding,” raves the London Independent; the New York Times extols its “luxuriously warm sound [and] yearning lyricism”; the Philadelphia Inquirer praises its “seemingly infallible instincts for finding the center of gravity in every phrase and musical gesture”; and the Times (London) opines, “the Brentanos are a magnificent string quartet…This was wonderful, selfless music-making.” Within a few years of its formation, the Quartet garnered the first Cleveland Quartet Award and the Naumburg Chamber Music Award; and in 1996 the Chamber Music Society of Lincoln Center invited them to be the inaugural members of Chamber Music Society Two, a program which was to become a coveted distinction for chamber groups and individuals. 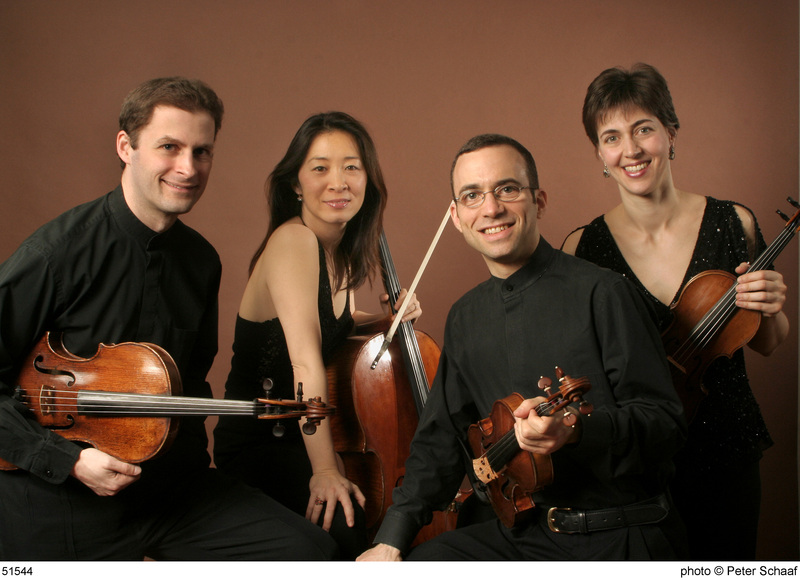 The Quartet had its first European tour in 1997, and was honored in the U.K. with the Royal Philharmonic Award for Most Outstanding Debut. 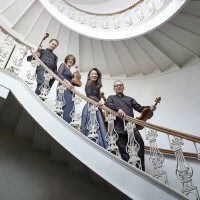 That debut recital was at London’s Wigmore Hall, and the Quartet has continued its warm relationship with Wigmore, appearing there regularly and serving as the hall’s Quartet-in-residence in the 2000-01 season. 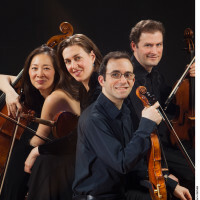 In recent seasons the Quartet has traveled widely, appearing all over the United States and Canada, in Europe, Japan and Australia. It has performed in the world’s most prestigious venues, including Carnegie Hall and Alice Tully Hall in New York; the Library of Congress in Washington; the Concertgebouw in Amsterdam; the Konzerthaus in Vienna; Suntory Hall in Tokyo; and the Sydney Opera House. The Quartet has participated in summer festivals such as Aspen, the Music Academy of the West in Santa Barbara, the Edinburgh Festival, the Kuhmo Festival in Finland, the Taos School of Music and the Caramoor Festival. 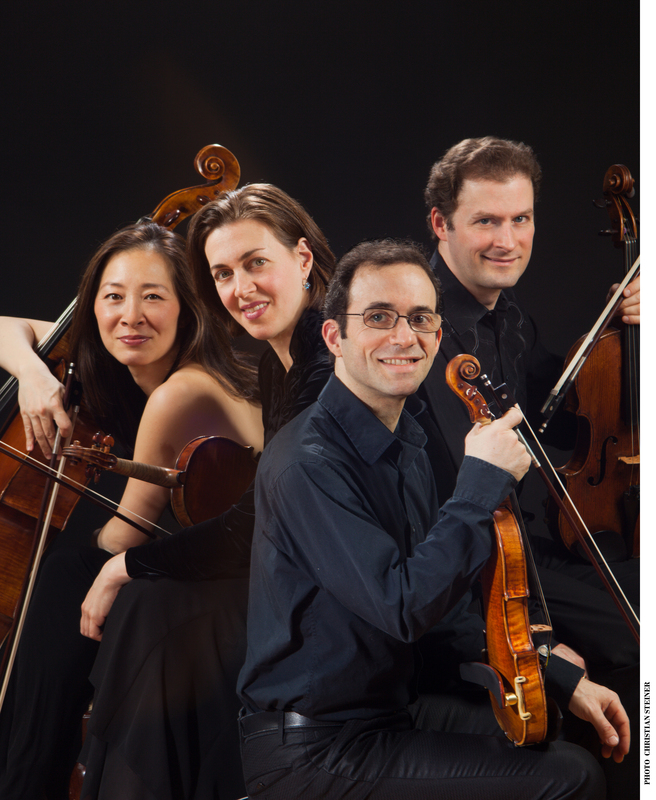 In addition to performing the entire two-century range of the standard quartet repertoire, the Brentano Quartet has a strong interest in both very old and very new music. It has performed many musical works pre-dating the string quartet as a medium, among them Madrigals of Gesualdo, Fantasias of Purcell, and secular vocal works of Josquin. 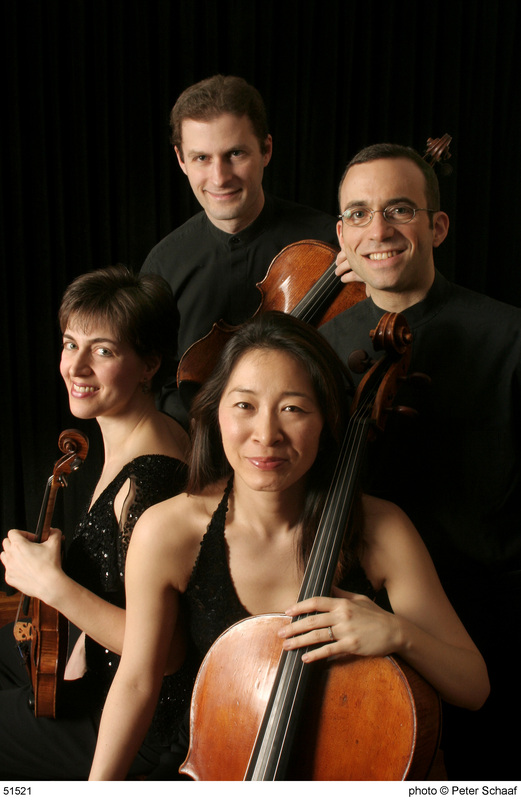 Also, the quartet has worked closely with some of the most important composers of our time, among them Elliott Carter, Charles Wuorinen, Chou Wen-chung, Steven Mackey, Bruce Adolphe, and György Kurtág. 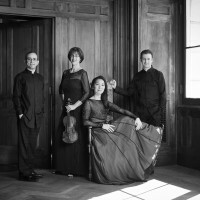 The Quartet has commissioned works from Wuorinen, Adolphe, Mackey, David Horne and Gabriela Frank. 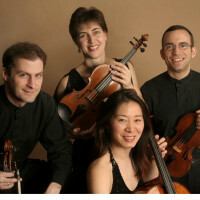 The Quartet celebrated its tenth anniversary in 2002 by commissioning ten composers to write companion pieces for selections from Bach’s Art of Fugue, the result of which was an electrifying and wide-ranging single concert program. 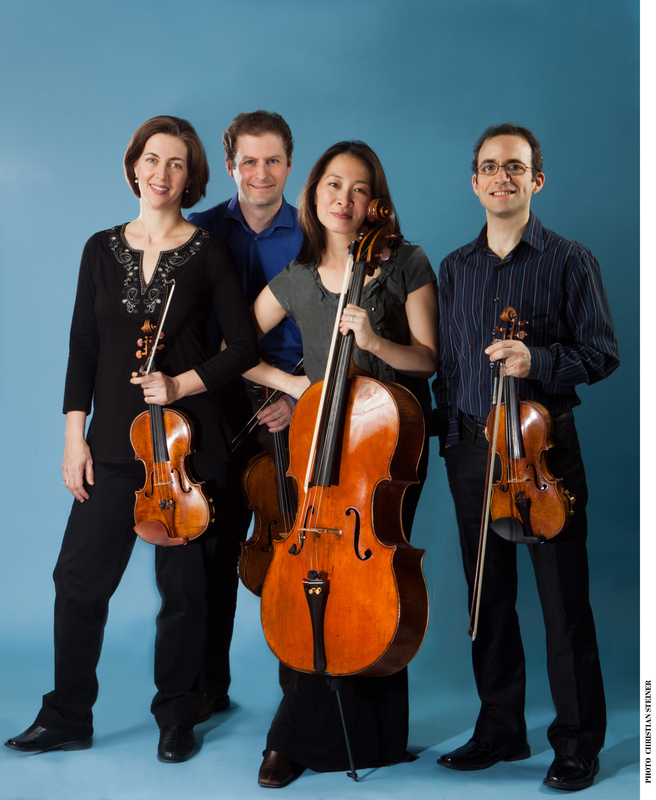 The Quartet has also worked with the celebrated poet Mark Strand, commissioning poetry from him to accompany works of Haydn and Webern. 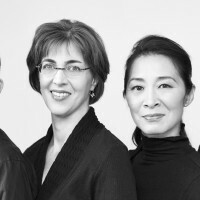 The Quartet has been privileged to collaborate with such artists as soprano Jessye Norman, mezzo-soprano Joyce DiDonato, pianist Richard Goode, and pianist Mitsuko Uchida. 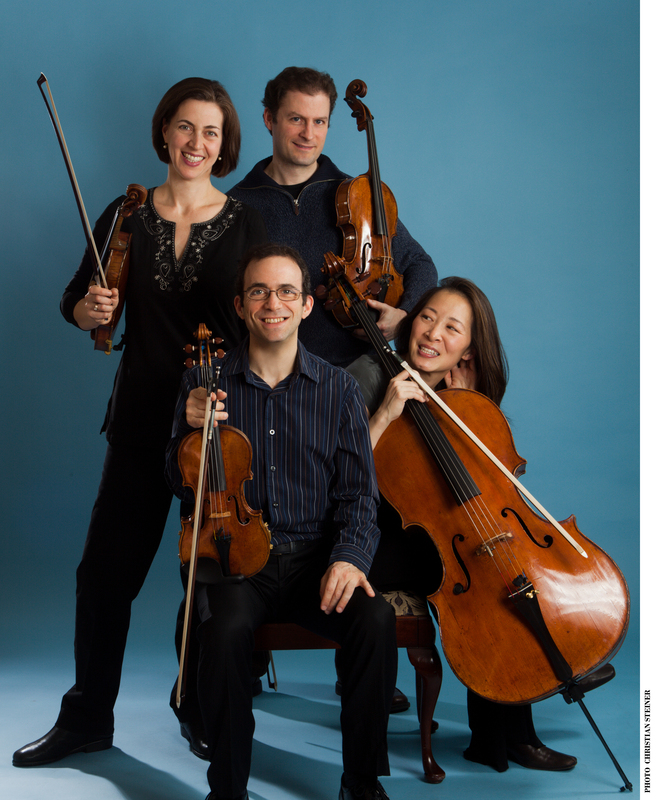 In 2015-2016, they will collaborate with pianist Jonathan Biss on a project centered around late works of great composers. 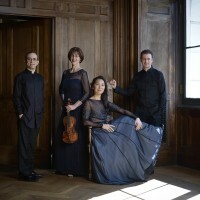 The Quartet has recorded the Opus 71 Quartets of Haydn, and has also recorded a Mozart disc for Aeon Records, consisting of the K. 464 Quartet and the K. 593 Quintet, with violist Hsin-Yun Huang. 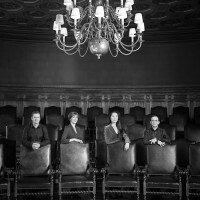 In 2010-2012, the Quartet recorded all of Beethoven’s late quartets, which were also released on Aeon. In the area of newer music, the Quartet has released a disc of the music of Steven Mackey on Albany Records, and has also recorded the music of Bruce Adolphe, Chou Wen-chung and Charles Wuorinen. 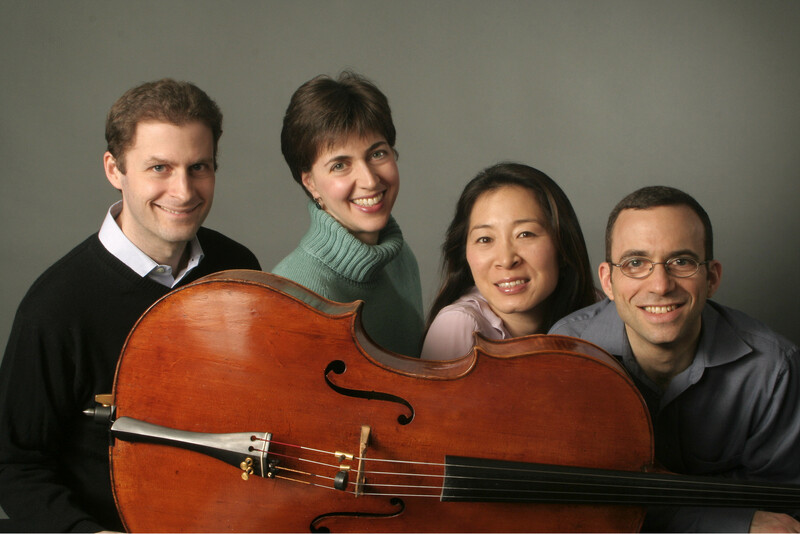 Upcoming releases include a recording of Schubert’s Cello Quintet, recorded at Amherst with Michael Kannen. 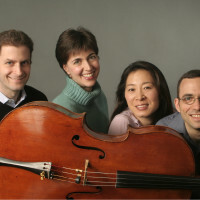 In 1998, cellist Nina Lee joined the Quartet, succeeding founding member Michael Kannen. 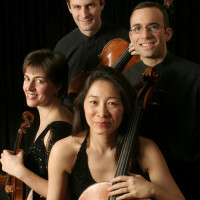 The following season the Quartet became the first Ensemble-In-Residence at Princeton University, where they taught and performed for fifteen years. 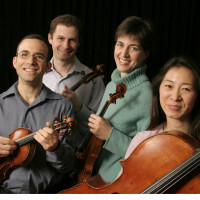 In the fall of 2014, the Quartet became the Resident String Quartet at the Yale School of Music, succeeding the Tokyo Quartet in that position. 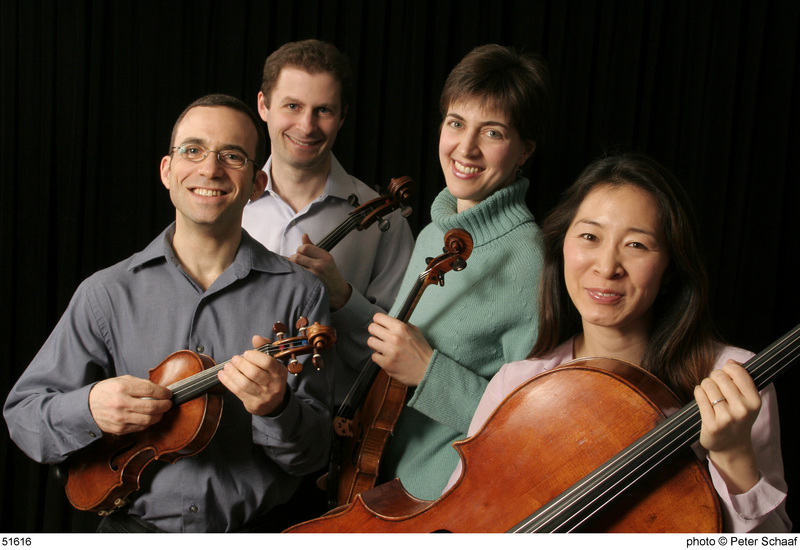 At Yale, they perform in concert each semester, and work closely with the students in chamber music contexts. 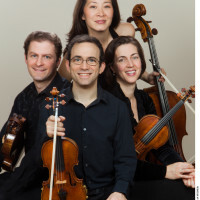 The Quartet is named for Antonie Brentano, whom many scholars consider to be Beethoven’s “Immortal Beloved”, the intended recipient of his famous love confession. Revised January, 2015. Please discard all previously dated material. Since winning the 1991 Naumburg Viola Award, Misha Amory has been active as a soloist and chamber musician. He has performed with orchestras in the United States and Europe, and has been presented in recital at New York’s Tully Hall, Los Angeles’ Ambassador series, Philadelphia’s Mozart on the Square festival, Boston’s Gardner Museum, Houston’s Da Camera series and Washington’s Phillips Collection. He has been invited to perform at the Marlboro Festival, the Seattle Chamber Music Festival, the Vancouver Festival, the Chamber Music Society at Lincoln Center and the Boston Chamber Music Society, and he has released a recording of Hindemith sonatas on the Musical Heritage Society label. Mr. Amory holds degrees from Yale University and the Juilliard School; his principal teachers were Heidi Castleman, Caroline Levine and Samuel Rhodes. Himself a dedicated teacher, Mr. Amory serves on the faculties of the Juilliard School in New York City and the Curtis Institute in Philadelphia. Violinist Serena Canin was born into a family of professional musicians in New York City. An accomplished chamber musician, Ms. Canin was twice invited to the Marlboro Music Festival and has toured the United States with Music From Marlboro, the Brandenburg Ensemble, and Goliard Concerts. In New York, she has made frequent appearances on the Continuum Series at Alice Tully Hall and at the Mannes Beethoven Institute. Ms. Canin has taught chamber music to young musicians at the Chamber Music Society of Lincoln Center and the Chamber Music Center of New York. She holds degrees from Swarthmore College and the Juilliard School, where her principal teachers were Burton Kaplan and Robert Mann. She lives in Manhattan with her husband, pianist Thomas Sauer, and their two sons. An active chamber musician, Nina Lee has collaborated with many artists such as Felix Galimir, Jaime Laredo, David Soyer, Nobuko Imai, Isidore Cohen and Mitsuko Uchida, and has performed at the Marlboro and Tanglewood Music Festivals. She has toured with Musicians from Marlboro and has participated in the El Paso International Chamber Music Festival. She is the recipient of a Music Certificate from the Curtis Institute of Music, and Bachelor’s and Master’s degrees in music from the Juilliard School, where her teacher was Joel Krosnick. Ms. Lee teaches at Princeton University and Columbia University. Mark Steinberg is an active chamber musician and recitalist. He has been heard in chamber music festivals in Holland, Germany, Austria, and France and participated for four summers in the Marlboro Music Festival, with which he has toured extensively. 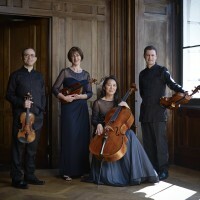 He has also appeared in the El Paso Festival, on the Bargemusic series in New York, at Chamber Music Northwest, with the Chamber Music Society of Lincoln Center, and in trio and duo concerts with pianist Mitsuko Uchida, with whom he presented the complete Mozart sonata cycle in London’s Wigmore Hall in 2001, with additional recitals in other cities, a project that continues for the next few years. Mr. Steinberg has been soloist with the London Philharmonia, the Los Angeles Philharmonic, the Kansas City Camerata, the Auckland Philharmonia, and the Philadelphia Concerto Soloists, with conductors such as Kurt Sanderling, Esa-Pekka Salonen and Miguel Harth-Bedoya. 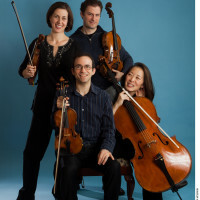 Mark Steinberg holds degrees from Indiana University and The Juilliard School and has studied with Louise Behrend, Josef Gingold, and Robert Mann. 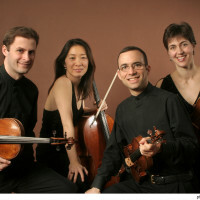 An advocate of contemporary music, Mr. Steinberg has worked closely with many composers and has performed with 20th century music ensembles including the Guild of Composers, the Da Capo Chamber Players, Speculum Musicae, and Continuum, with which he has recorded and toured extensively in the U.S. and Europe. 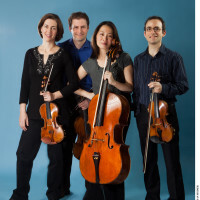 He has also performed and recorded chamber music on period instruments with the Helicon Ensemble, the Four Nations Ensemble, and the Smithsonian Institute. 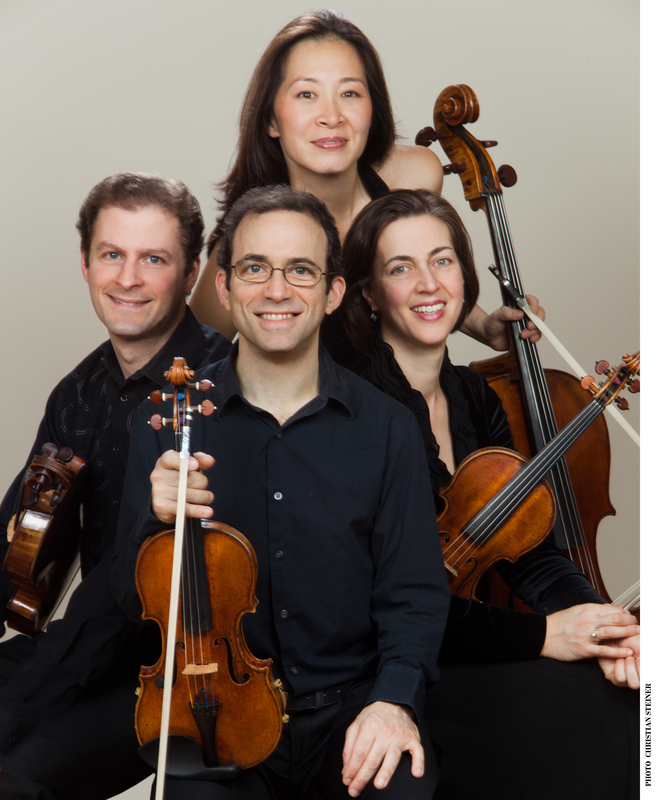 He has taught at Juilliard’s Pre-College division, at Princeton University, and New York University, and is currently on the violin faculty of the Mannes College of Music.